03/05/2015 – The Website is Live! | James W. A.
I think it’s safe to say that it’s official: the James W. A. website is fully armed and operational! I mean, clearly, it has to be or you wouldn’t be reading this now, now would you? But regardless, I’m so glad to have this platform established and read to roll out all kinds of fun things. Granted, not every page is filled with all I want it too though, but even so, the fact that there’s something up is really cool. As I’ve said on the home page, feel free to explore around see what everything is all about. 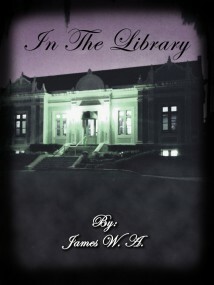 Under the “Author Bio” page, you’ll find a brief introduction and information about James the man. Under “Live Appearances,” you’ll learn about where you can come out and hear me read aloud from my book and meet James the man. I’d like to thank, as I try often to do, all of those who support me in all my endeavors of building this site, promotions, and hell, even writing a book in general. All of your support means the world to me and I couldn’t do any of this alone! Enjoy this site and all of my materials and our relationships continue to grow. See you on the web!